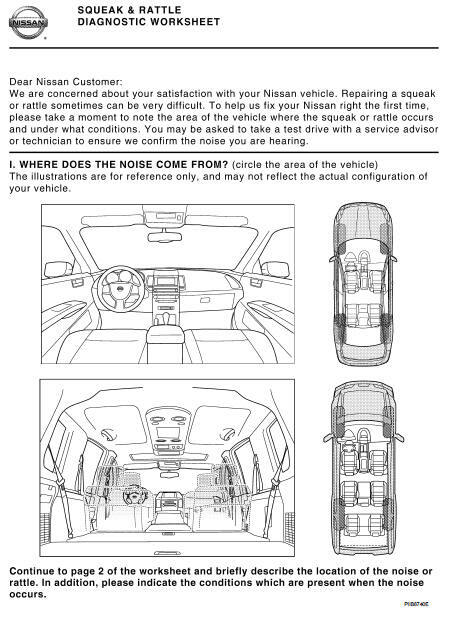 Interview the customer if possible, to determine the conditions that exist when the noise occurs. 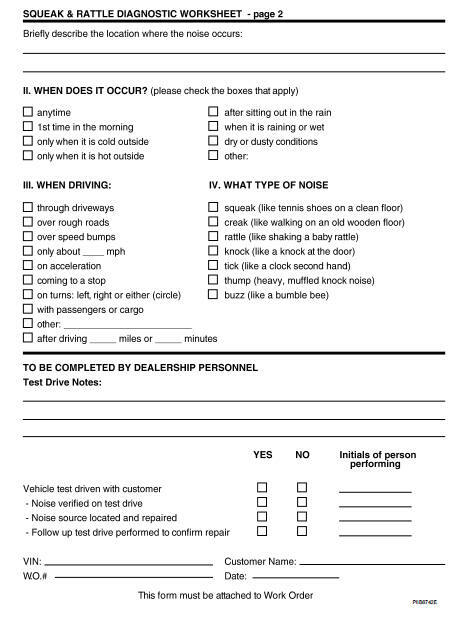 Use the Diagnostic Worksheet during the interview to document the facts and conditions when the noise occurs and any of the customer's comments; refer to EXT-10, "Diagnostic Worksheet". This information is necessary to duplicate the conditions that exist when the noise occurs. Refer to EXT-8, "Inspection Procedure".